All manual bid adjustments – such as location, remarketing, device, time of day, day of week, and demographic – will be used to inform our automated bidding decisions from now on. This was based on feedback customers provided shortly after the release of the Maximize Clicks bidding strategy, but will apply to all current and future bid strategies. The new overview tab is a fast, easy way to see how your account is performing. You can customize the dashboard to focus on all the performance information that matters most to you. 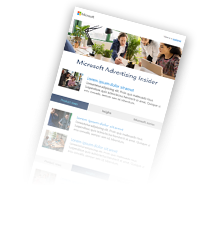 The Labels features launched on Bing Ads last month throughout the campaigns grid, Bing Ads Editor, and the APIs. And now we are making the feature available in the Reports page as well.